Have you ever browsed a carpet cleaning website? Well, if you have there is one thing that most carpet cleaning websites have in common and that is they do not advertise their prices. They want you to call in so they can give you a price that will fluctuate based on the info you give them. This can sometimes be frustrating when you are trying to find the best price. Really, who wants to call several companies and repeat themselves over and over just to get a price quote. Wouldn’t it be easier if everyone had their prices listed and what it covered so you can easily chose the best price and service for you. 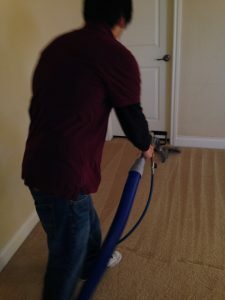 Beyer Carpet Cleaning is one of a few who lists their prices on their website. They want customers to see their prices and know what they are getting. On their home page Beyer Carpet Cleaning has coupons listed then on a subpage they have prices listed for all their services. Along with their upfront pricing they list what their services include. 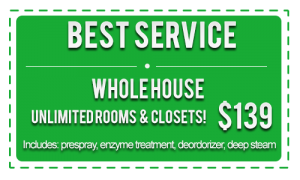 For example, on their best service whole house coupon it specifically states that this coupon is good for unlimited rooms and closets and includes a steam clean, vacuum, prespray, and deodorizer. So when customers call in all they have to say is they want to use this coupon and there is no haggle or confusion. Beyer Carpet Cleaning has no hidden fees this is why they can list their prices for all customers to review. Beyer Capet Cleaning is also a no pressure sales company. When a customer calls in to find out more info or to schedule an appointment they are not bombarded by sales. Yes, they may offer you additional services like carpet sealant or quick dry but they will not pressure you into buying. This is also the way their technicians perform when they are in your home. Their technicians will only offer additional services if they feel that it is needed or you could be interested in. Many customers have pets that soil their carpets and Beyer’s solvent prespray may not be strong enough to remove the pet stain so their technicians will suggest having additional pet treatment services done and if your answer is no they will not keep going round and round with you to try and convince you to buy the service. If you don’t want it they will not haggle with you. They may also suggest, as the operator did when you scheduled, having your carpets sealed or using quick dry. These services are only helpful to the customer and will save them time and money. After steam cleaning your carpets it can take 6-7 hours for your carpets to dry. Some people are ok with this window of dry time but other may want a faster dry time because they have things going on or may want to put back their furniture as soon as possible. Quick dry reduces the dry time from 6-7 hours to 1-2 hours after the technician leaves. Not only is this convenient for the customer it also reduces the risk of mold or mildew growing. Carpet sealant saves you money so you won’t have to have your carpets cleaned so many times during the year. Carpet sealant will last up to 10 months and if something spills all that you need to do is blot the stain and vacuum. So all in all Beyer Carpet Cleaning does not want to waste your time or their’s by offering services that are irrelevant to your carpet cleaning or offer services that would not be in your best interest. If you are looking for a carpet cleaning company that will not try to sell you the world or that doesn’t have secret pricing call Beyer Carpet Cleaning. Beyer Carpet Cleaning is upfront and honest about they can and cannot do. The owners of Beyer Carpet Cleaning were raised to be honest and fair and have carried these values with them into business in order to provide the best in carpet cleaning for the city of San Antonio.